How many aspects in your life have become unnecessarily overcomplicated? How many facets of our modern world have? As entrepreneurs and business owners, it’s easy to feel nearly lost in simply reacting the demands of our work. Meld that with the desire to fully dedicate ourselves to our families and communities, and finding ourselves in a state of overwhelm is not so far fetched. Taking on anything outside of our habitual daily demands often becomes an unwelcomed task. We’ve given ourselves little incentive to take on the process of getting to know ourselves, especially when the process can feel arduous and time-consuming in itself. However, what if self-awareness was a singular focal point that could provide greater ease, productivity and fulfillment in all areas of our personal and professional lives…. In 2013, the U.S. Bureau of Economic Analysis recounted GDP back to 1929 to have it include R&D as an investment. Why? Because they realized its long-term value. Self-awareness – gaining conscious knowledge of our character, feelings, drivers and desires – is what occurs when we take the time to “research and develop” ourselves. It is the fearless willingness to get to know who we are, and bring out our best, so that we can better contribute to the totality of ourselves to all that we do. Self-awareness is an investment made in the name of honing and furthering our offering and relationships to our family, company or community, and to humanity. Why do some organizations prioritize research and development? The invest to innovate – to uniquely create, gain competitive edge or to make existing products even better. In addition, they invest for ease – to create and contribute consistently, with efficiency and effectiveness. Ease and innovation in our personal and professional lives begins when we align all that we create in our lives with who we are and build from the foundation of our best traits – a process that is ignited when we take the time to gain self-awareness. As business owners, one of the best actions we can take to stand out in an excessively busy online marketplace is proactivity – taking the time to go within, research and develop, and use that awareness gained to build our outside-the-box ideas. Attract clients and collaborators who align (read: who are easy to work with) – Your relationships flow with greater ease, because you’re clear in your communication of who you are, what you need and what you have to give. Consistently create “on brand” material – Your personal and professional brand becomes stronger, because neither you nor those around you question what you stand for. You become the constant and align your messages/products with who you are. Increase decisiveness (and therefore efficiency) in decision making – Your decisions require less strain, because you’re clear on what you value and stand for. It’s easy to give Big YES’s to people/projects that align (rather than “sure, I guess”). Decrease self-doubt and stress in the face of change or challenge – When you know your strengths, you can easily access them to navigate challenge. You have a starting point to access regardless of how chaotic the situation you find yourself in. In spite of all it’s benefits, why do we avoid gaining self-awareness? 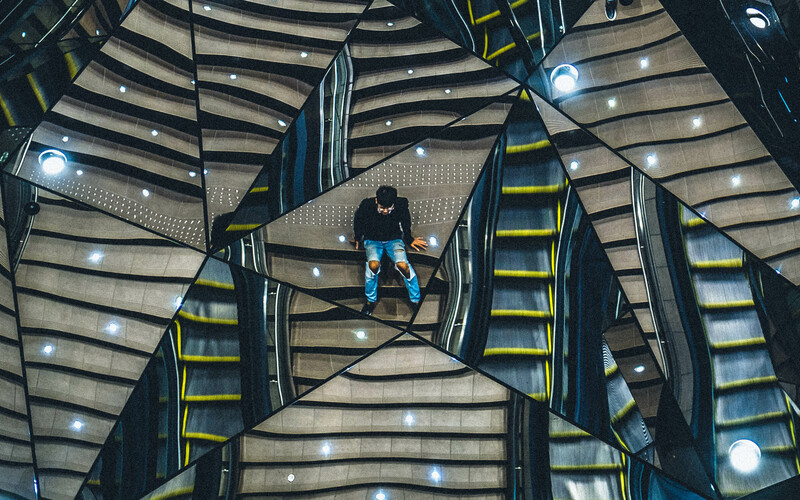 If the answer to greater ease in so many facets of our business and personal lives is self-awareness, what keeps most of us from diving into truly knowing who we are? Could it be because we as a society have managed to overcomplicate it? When a Google search on “Gaining self-awareness” yields 5.7 million results, how can we ever know where to begin? Heading over the Amazon most definitely isn’t the answer, as the over 10,000 “self-awareness” books do nothing more than create even greater angst. We’ve created so many tips, tricks, tests and trauma-releasing strategies that our greatest temptation is to never dive into knowing who we are, what we stand for and where we fit in society. Self-awareness has become overwhelming long before we even venture inside of ourselves. The downside to this current state is that if we stay in this place of muddled clarity of who we might or could be, we’ll never be contributing or realizing the fullness of what we can. True fulfillment can only come when we know and align our contribution with the best of who we are. Isn’t it ironic that in seeking “self”-awareness, we go looking outside of ourselves for clarity? Self-awareness doesn’t have to be as complicated as we’ve made it out to be. Part of your is already exponentially clear on who you are – your unique composite of experiences, attributes, attitude and abilities. You know it when you experience ease in some activities relative to others. You feel what it is to be you when you interact with and contribute to others. You sense it in the moments spent in your own company. Developing self-awareness is just a matter of observing and acknowledging what is already there. When you want to get to know someone, whether personally or professionally, what do you do? You spend time with them. You engage in conversation, ask questions, observe and interpret. How we get to know others is how we get to know ourselves. The single greatest way to gain self-awareness is to spend time getting to know yourself. If you want your business and life to flow with greater ease, carve out time to spend with yourself. Do the things you love to do and discover where you gain the greatest energy. Spend more time in those places or spaces, as they will help you develop the best of yourself. What does it feel like to be you? – Allow yourself the ability to feel what it is like to be in your (own) company and how you currently feel about yourself and your life. What kind of energy and unique characteristics do you (or can you) contribute? Observe as you would another, allowing yourself to identify and develop the best of yourself. What energizes you? (and what doesn’t) – If a person, event or experience invigorates you, it aligns; if it drains you, it doesn’t. Make note of what you love, of what drives you. This is a practical way to get clear on your passions + values. What do you want? – As you spend more time with yourself, tune into your desires and assess if they are being realized. If not, what actions can you take to support your happiness and fulfillment? What comes easy? (vs. what is strenuous or causes stress) – Uncover your true values/beliefs + abilities. e.g. Why do I feel so alive when I’m outside exercising? Why do I love writing/singing/dancing/painting so much? Make note of what you’ve done with grace or ease. Be amazed at your own capacity. Be witness to your words, actions and thoughts (without judgement). – Does what you think, say and do feel in alignment with who you are at the core? Are you being yourself or are you being what you think you should be (for others)? Be curious. Research, investigate & appreciate. This time spent in non-judgmental observation and appreciation of all that you have to contribute to others will help you gain confidence to bring to life all of who you are AND become appreciative of what you are sharing in each interaction and situation you step into. Let others be your catalysts – If you are struggling to gain awareness on your own, ask friends or colleagues how your presence positively impacts them. Allow their comments to provide you with insight as to the truths of your best characteristics, energy, drivers and desires. Honor and hone those aspects during your time of dedicated attention to yourself. How do you communicate? 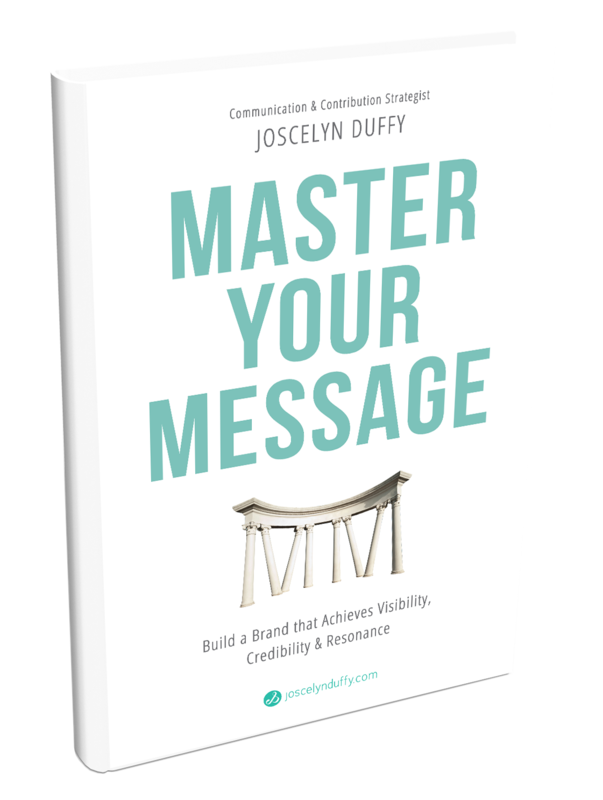 Are you clear and what capacities do you rely most on to convey a point? Does what you say align with what you feel inside/who you really are? How do you learn? What aspects of your environment and interactions can help further your awareness of self, and thereby, what you have to contribute to each of these. What are you adding to each conversation and interaction? Observe how you are directing or contributing. Without that what value is missing from the conversation? When you can see what might be missing without you, you can begin to appreciate what you bring to the table. Living from the truths of who you are is going to require conscious decisions at first…though in time, it will become a natural progression to fully incorporate all that you are into all that you think, say and do. Observing and gaining awareness of who you are is one of the most profound actions you will take in your life. When you become aware of who you are and what you stand for, and make conscious choices to give “big YES’s” to the people and projects that align, you are creating a life that equips you to give to others from a place of ease, innovation and great personal power. From there, greater meaning, motivation, purpose and contribution are yours to behold.